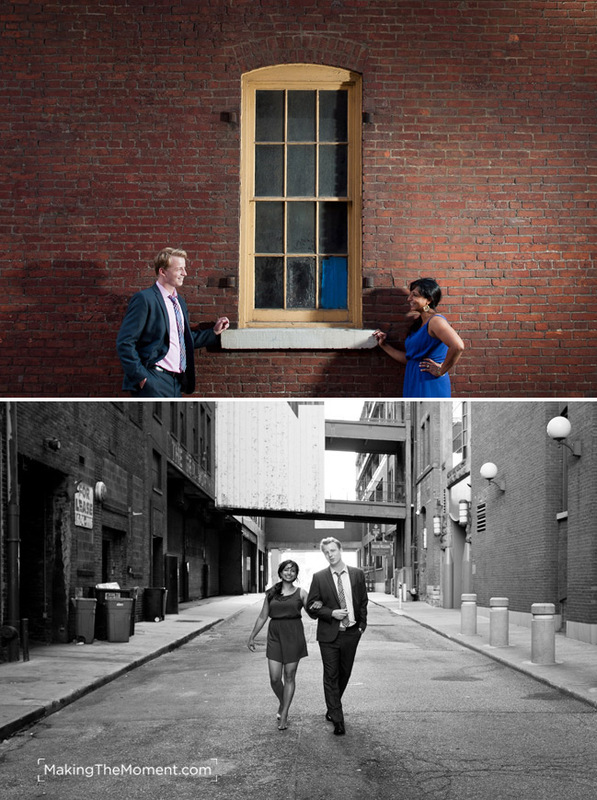 I’d like to introduce you to one of our fabulous couples that we get the honor of photographing. Meet Anita & Ondrej. These two were meant for each other. And you would know it from the moment you met ’em. 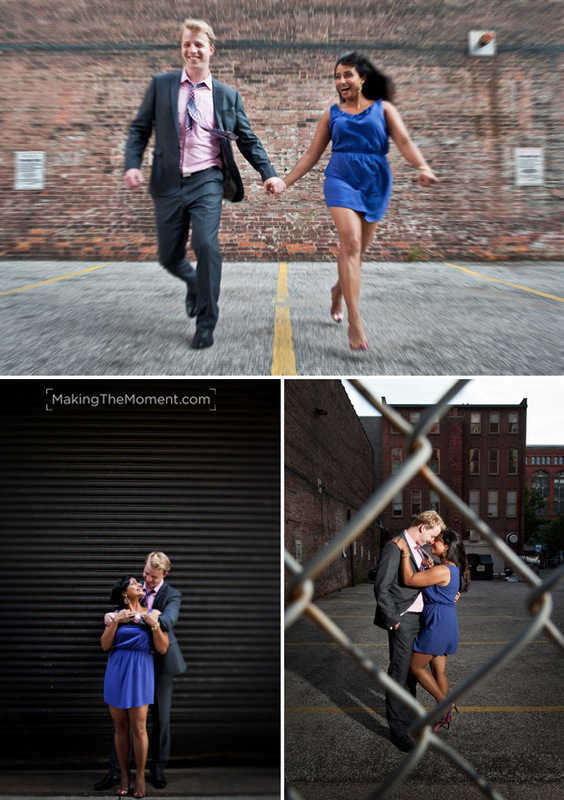 I love the very first image because it speaks volumes of these two…they are absolutely crazy about each other! One of my favorite things about shooting engagement sessions is spending time finding fun and unique locations for our sessions. 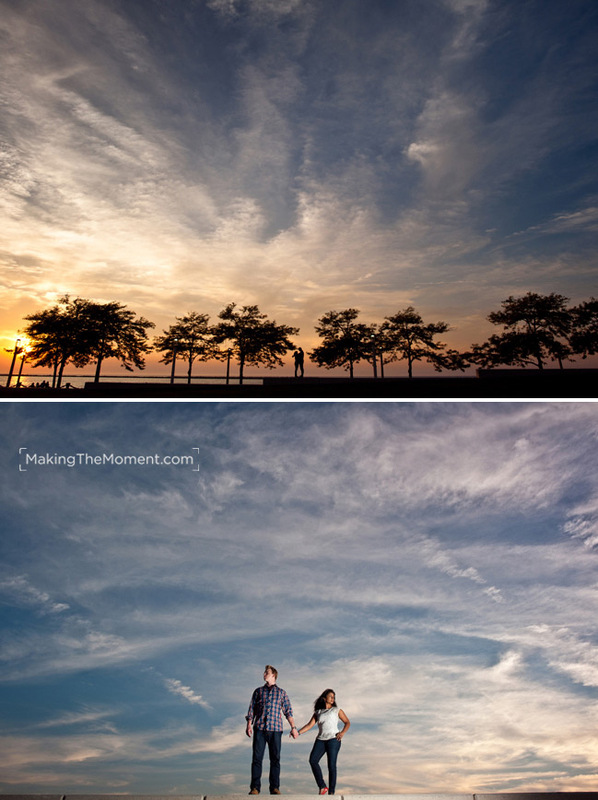 Downtown Cleveland is one of my absolute favorite locations to shoot because there is so much to explore. There is history in it’s streets, alleyways and old brick buildings. 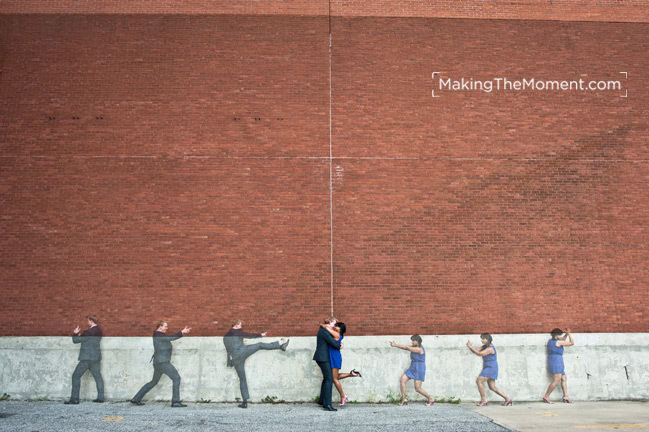 We decided to keep things fresh and pull a little…Bond, James Bond…action out. A word that comes to mind of these two is “joy”. I love the joy that shines through in these two. The best images turn out when you can relax, be yourself, and forget I’m even taking your picture. Let me tell you – these two were great at it! 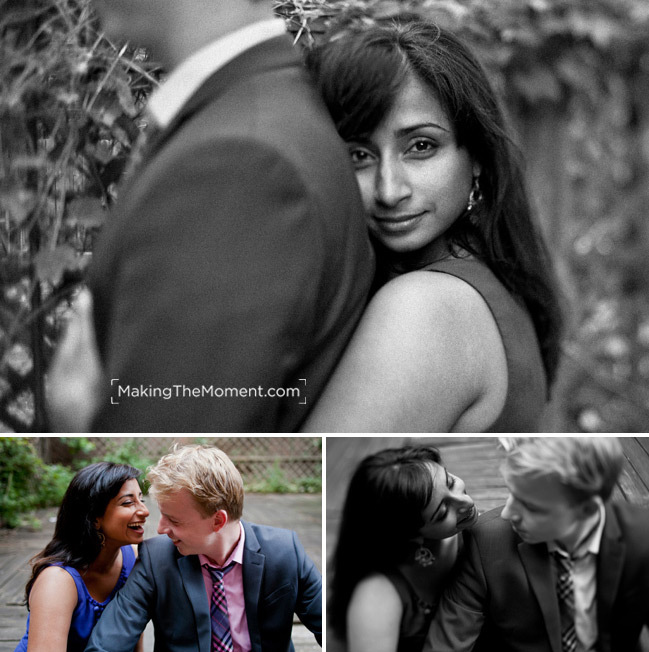 They simply love being together and were naturals in front of my camera. I try and keep every session unique. I thrive on creativity. Photography can get very boring if you simply try and copy a photograph you’ve seen before. That’s why we like to set the pace here at Making the Moment and think outside of the box. We like to see things with a different perspective and add an artistic twist to our images, which helps to create a very different brand of photography. I love, love, love these two. Again, here’s that joy that I’m talking about. What a great lookin’ couple. Towards the end of our evening, we decided to head towards Lake Erie to try and catch a sunset. I tell ya what – the sky was on our side and was absolutely incredible. It was almost like someone had painted it. What an amazing finish to our fun evening together. 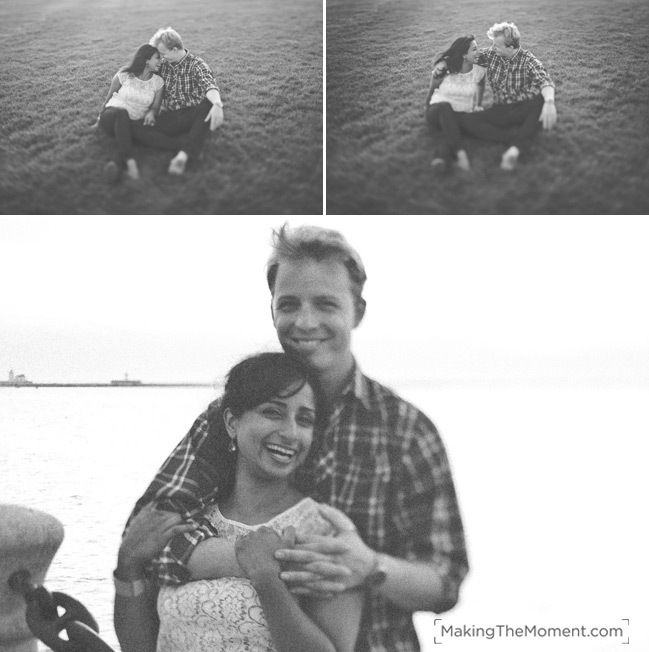 Anita & Ondrej – I’m so happy for you two and CANNOT wait for your wedding! Luke you are so gifted! What absolutely stunning photography. Thanks for sharing. Tari – thanks so much! I appreciate the kind words.